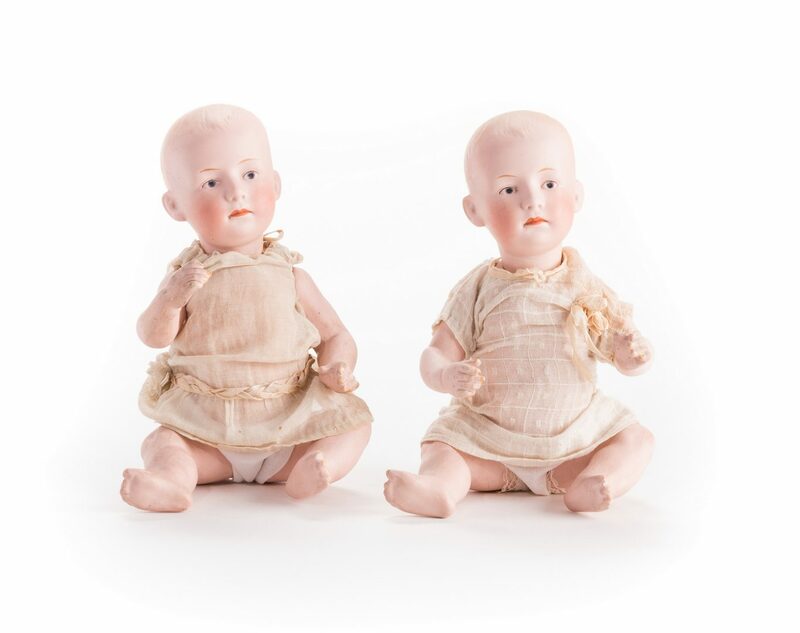 Group of four (4) vintage German bisque dolls. 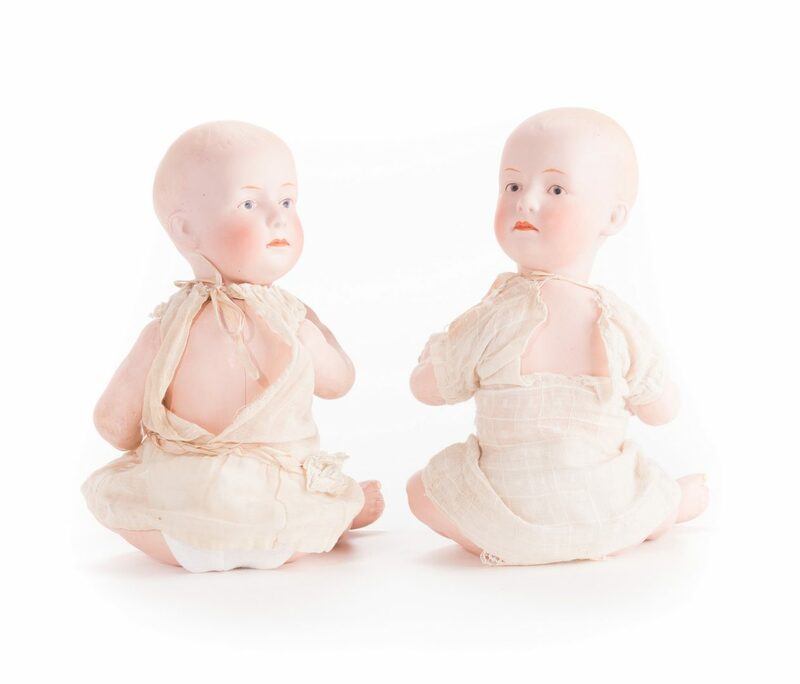 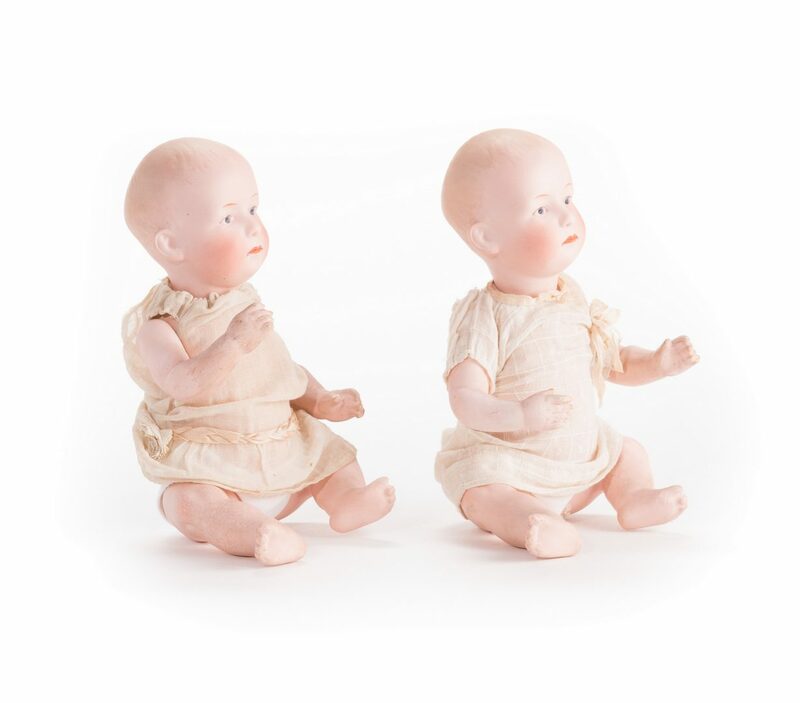 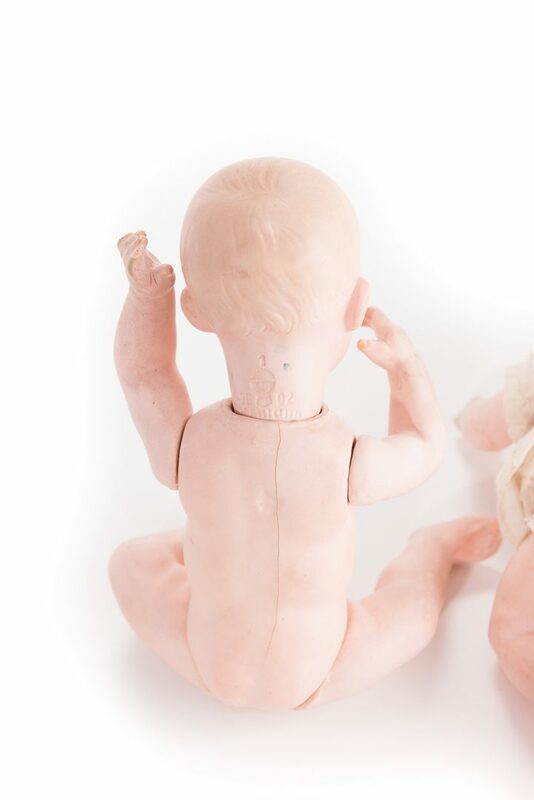 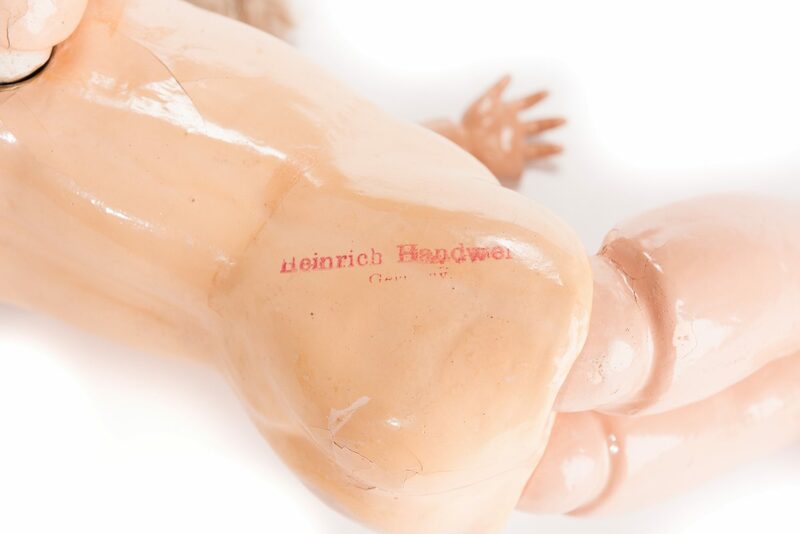 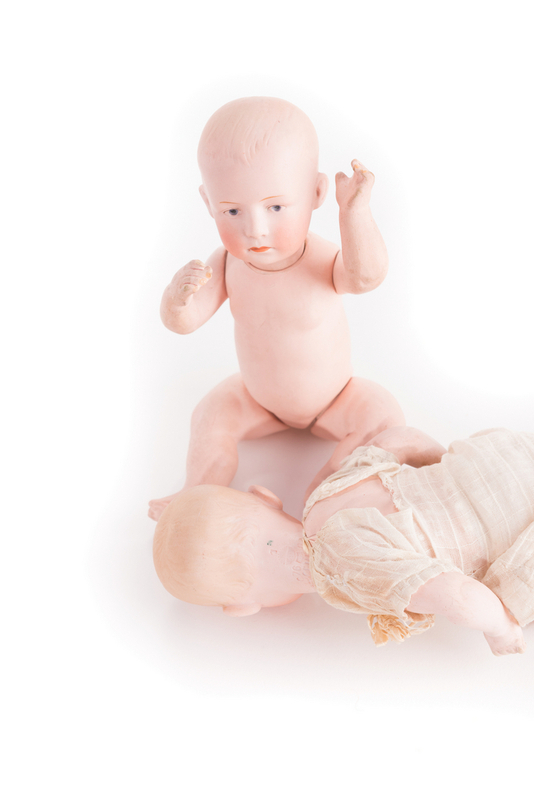 1st-2nd items: Two Gebruder Heubach #7602 bisque baby dolls with jointed heads, arms and legs, vintage cotton clothing, maker's mark on back of necks. 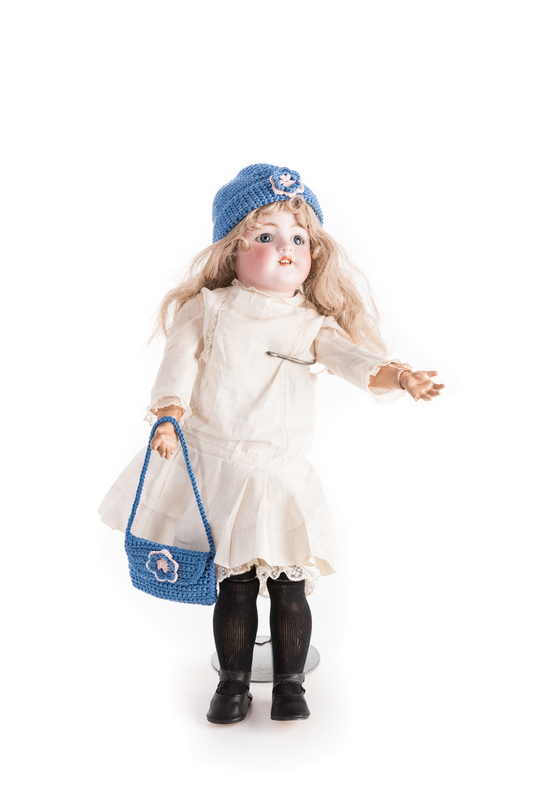 8" L. 1914. 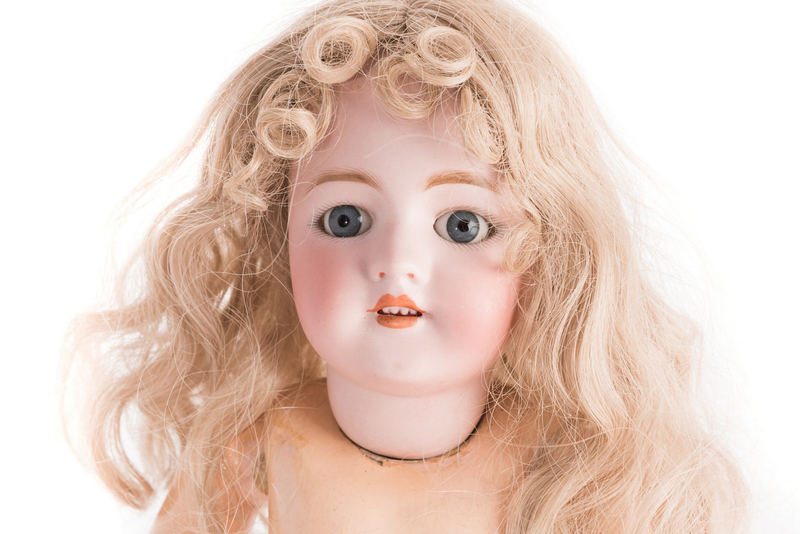 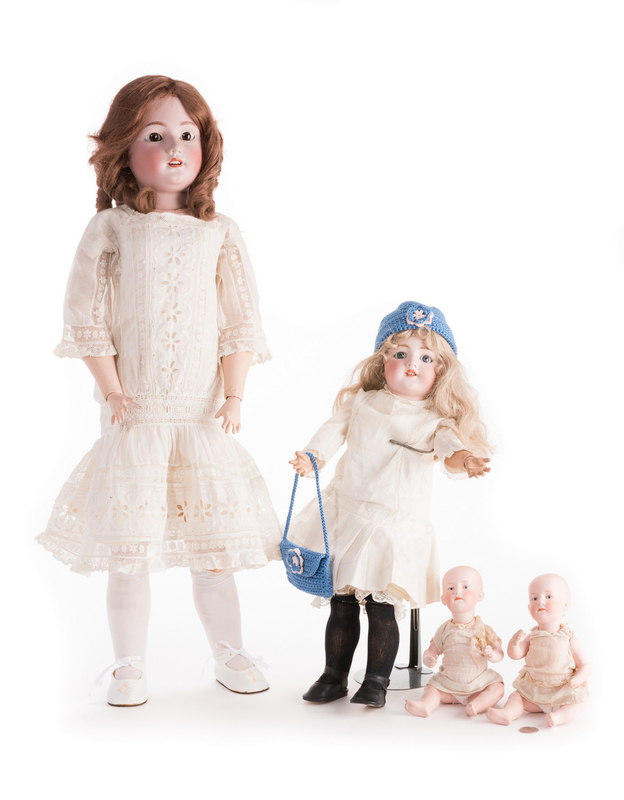 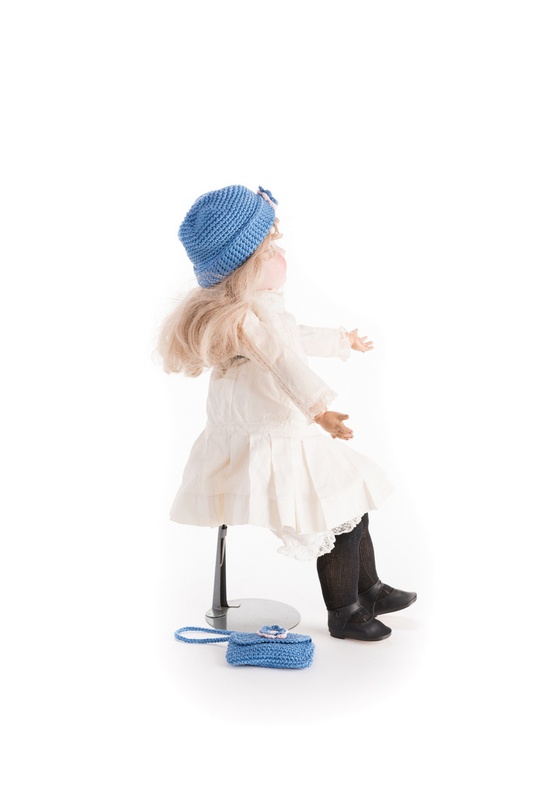 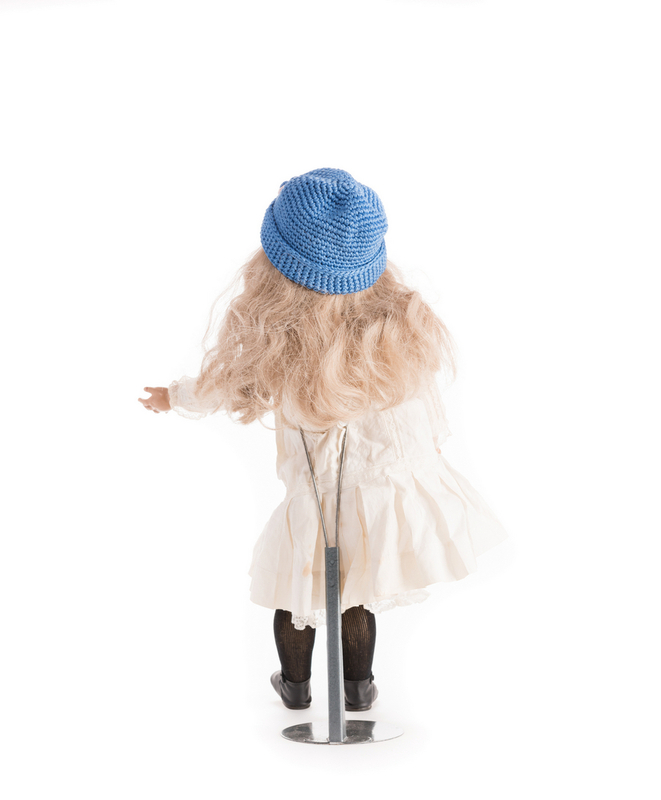 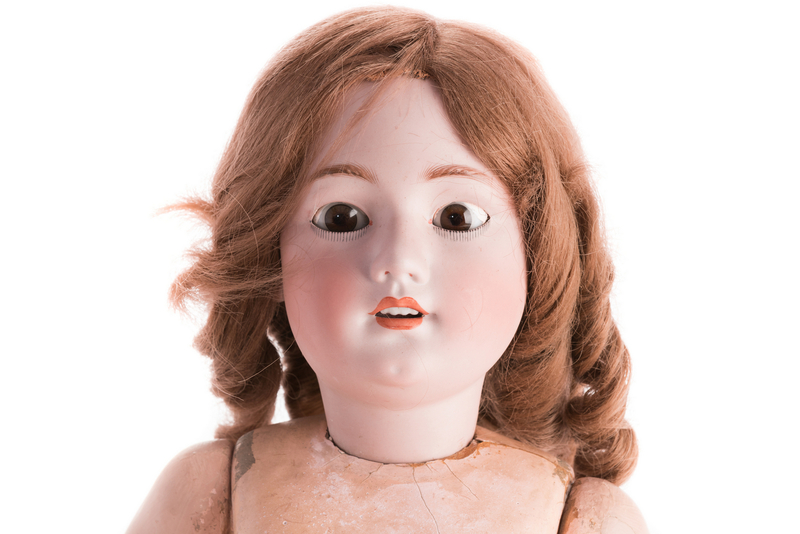 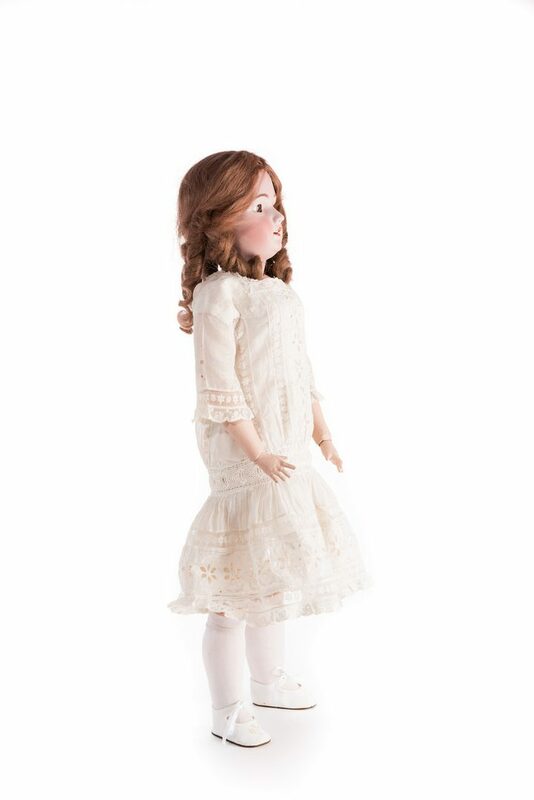 3rd item: Simon & Halbig girl doll, still blue eyes, open mouth with teeth, composition ball jointed body, vintage cotton and lace garments, newer hair, socks and shoes, 22" L, circa 1900. 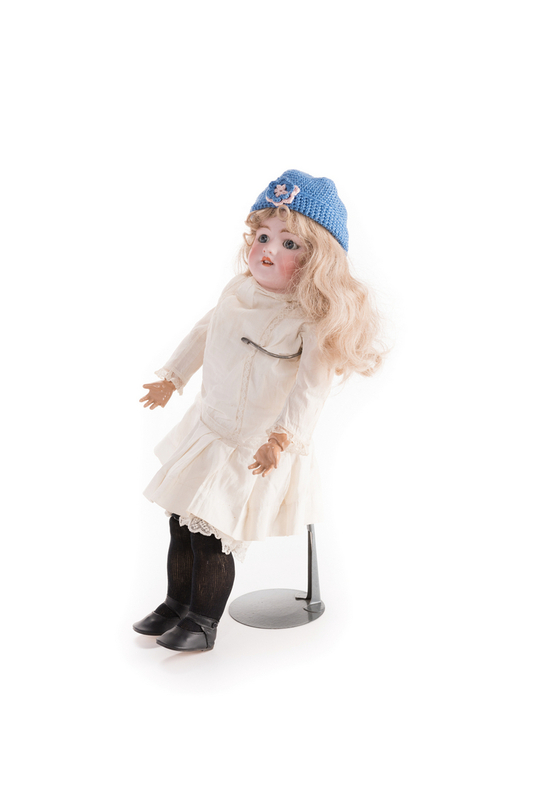 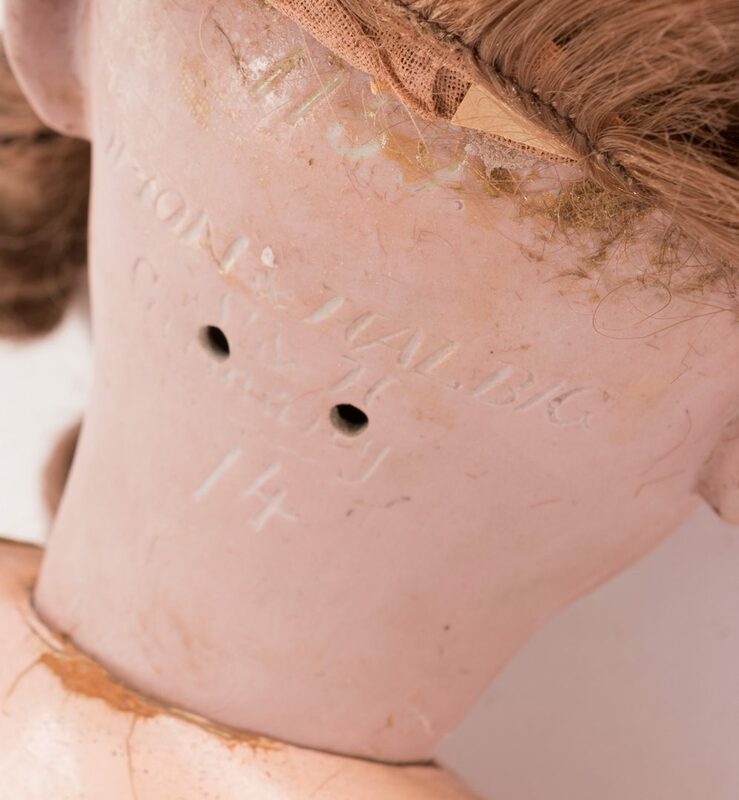 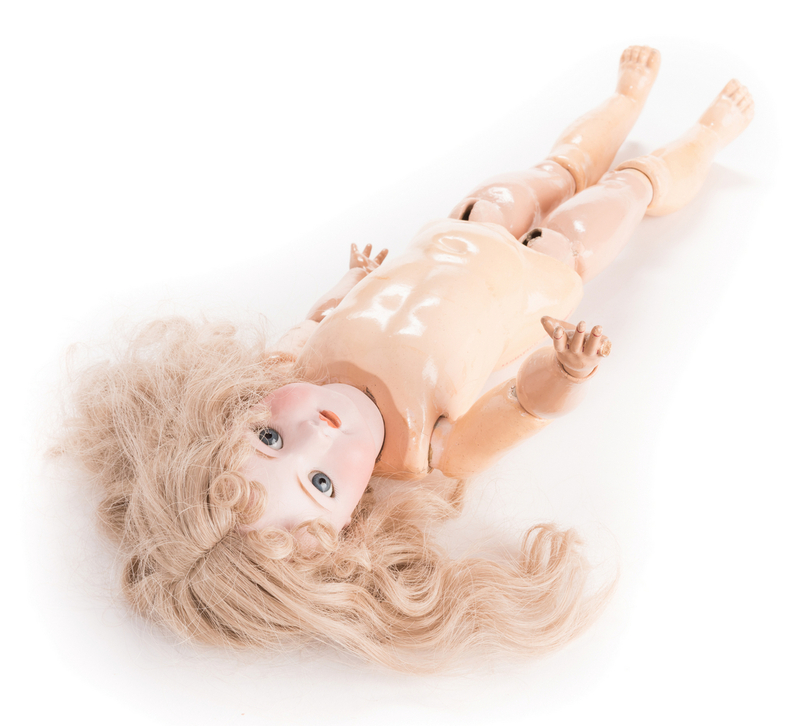 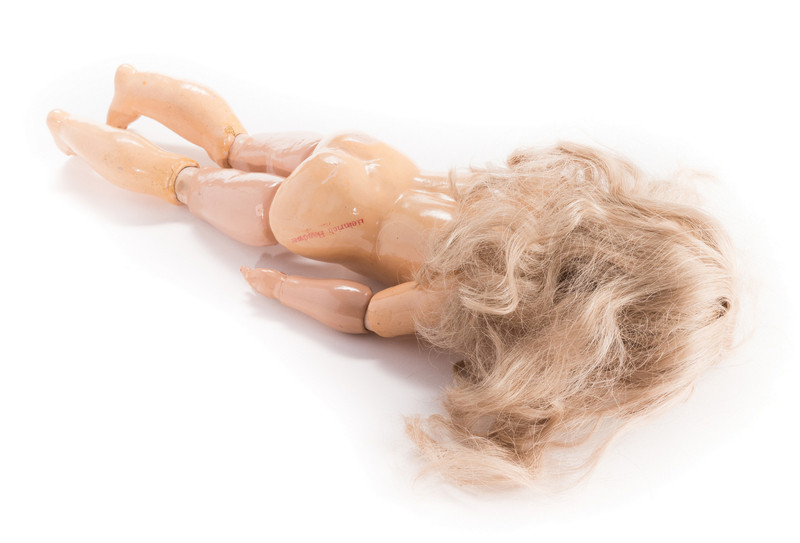 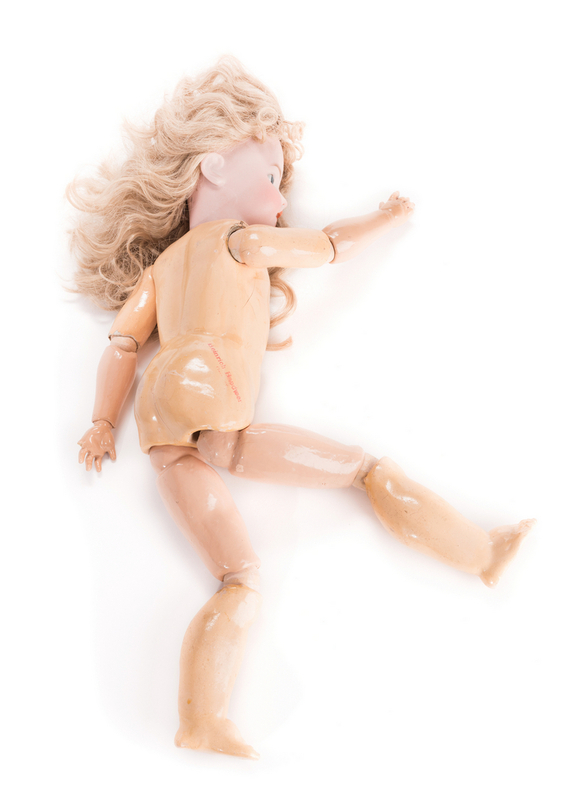 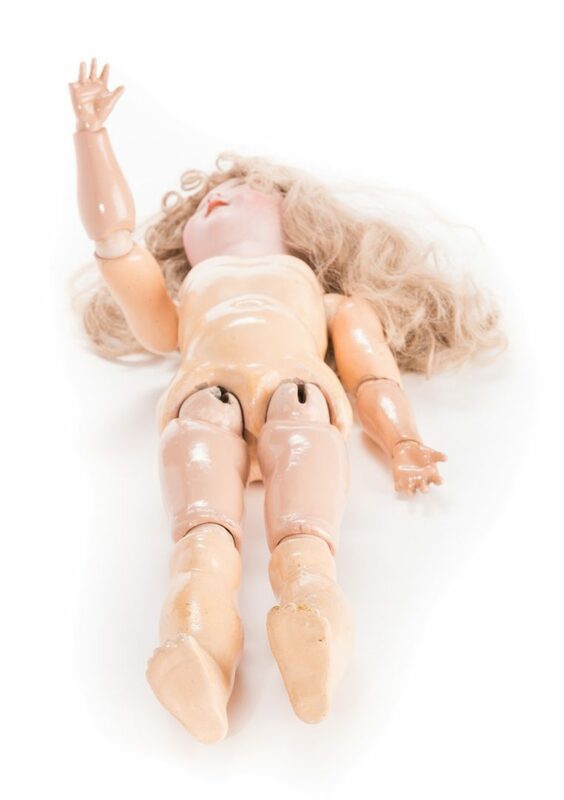 4th item: Simon & Halbig girl doll, sleeping brown eyes, open mouth with teeth, composition ball jointed body, vintage cotton and lace dress, newer socks and shoes, marked 1159, 30" L, circa 1900. CONDITION: 1st-2nd items: Good condition with slight to moderate grime and stains to bisque overall. 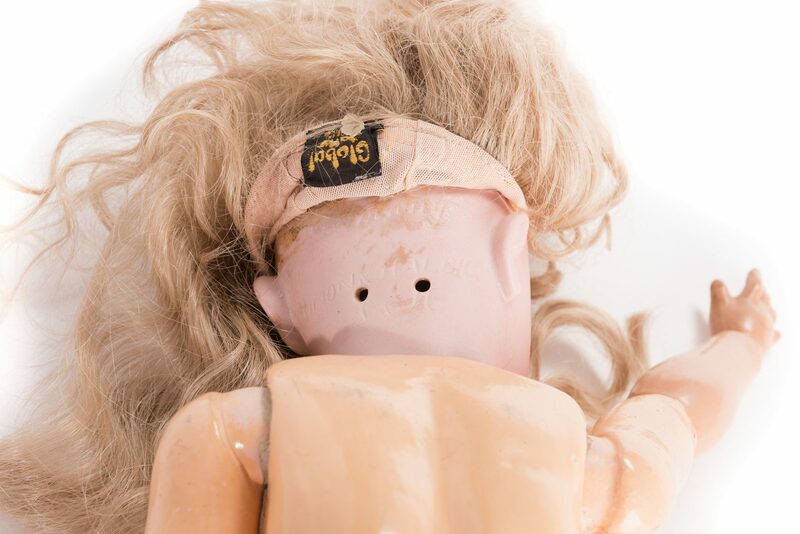 3rd item: Missing pinkie fingers both hands. 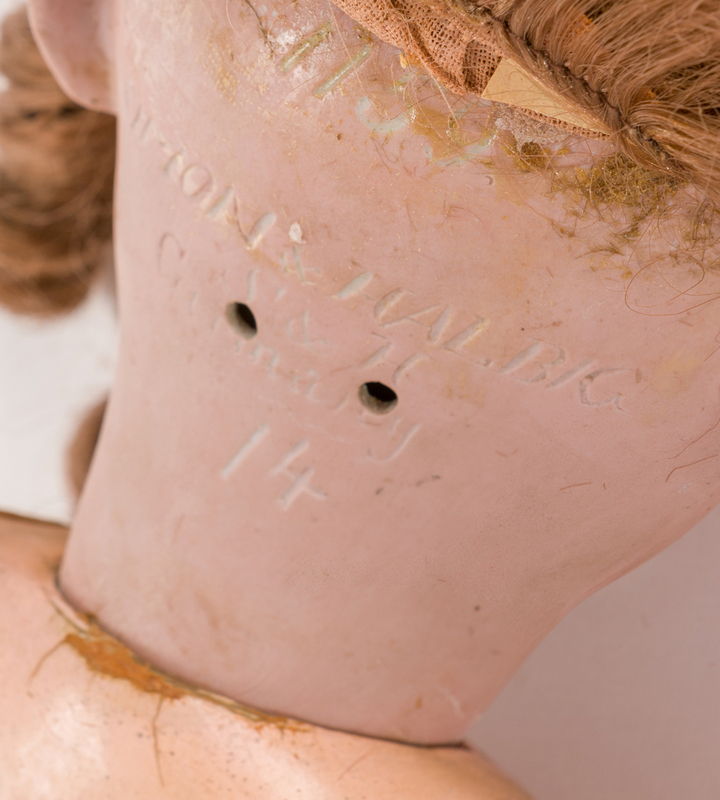 3rd item: Moderate to heavy grime and stains overall, leg mobility limited, fingers previously repaired, hair desintegrating. 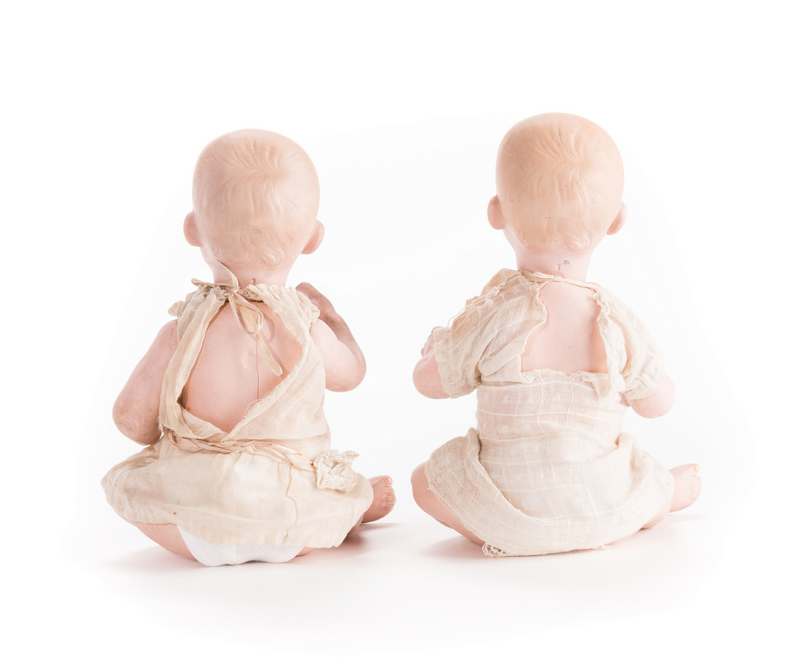 Wear to garment.